The Professional Home Inspection Institute (PHII) is North America's most trusted school for online home inspector certification. 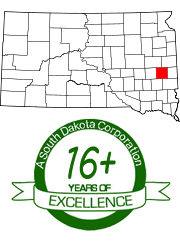 PHII is a SOUTH DAKOTA company based in Madison. 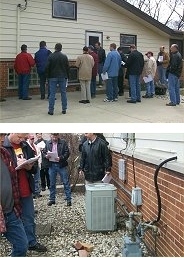 Over the past 16 years we have successfully trained and certified over 20,000 home inspectors in the U.S. and Canada. In fact, PHII created the industry's first interactive online Home Inspection Training and Certification program. Interactive Online Courses - Train at your own pace! PHII's inspection training courses are truly at your own pace. Every online course comes with instant access and can be completed in as little as several hours, or you can take as much time as you need! You always have access to PHII course material and support. The 32-hour Advanced Course contains 12 lessons that provide continuing education. Each course topic takes a more in-depth look at components you will inspect such as safety glass requirements, electrical current rating systems, and a variety of structural systems. PHII's radon certification course will teach you the fundamentals of radon, the hazards of radon exposure to the human body, along with the proper techniques for measuring and reporting concentrations in buildings. 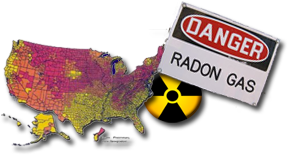 You will learn where radon enters buildings and how to use inexpensive equipment to record quality-assured results for your clients. This in-depth course is geared towards those entering the infrared thermography field who may not have a background in science or engineering. No experience in thermography is necessary, and no infrared camera is required. The course begins with the fundamentals of physics and infrared energy in easy to understand language. After completing the course, you will receive a Level I Infrared Thermographer Certification. Furthermore, you will possess the skills and knowledge necessary to begin your infrared thermography career. Manufactured homes (called mobile homes prior to 1976) is one of the fastest growing home inspection markets today. 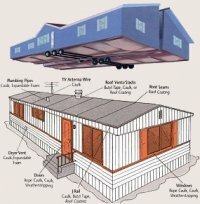 This course, available online and on CD-ROM, teaches you how to inspect a manufactured home compared to a traditional site-built home. Some important points include bracing and support systems, 4-wire electrical services, plumbing, wind/load/thermal zone ratings, metal roofing, skirting, under wrap, and construction methods. Includes Manufactured Home Inspection Report Forms. The Environmental Hazards Course, available online, is an introduction to environmental hazards as they relate to the construction industry. Each lesson identifies a specific hazard, how to recognize it, how people become exposed to it, how to test for it, and ways to mitigate the problem. After completing the course, you will be more aware of the environmental risks that exist and how to protect yourself and others. You will also learn if a license or certification is required to conduct professional testing or abatement services for clients. The course is accepted for continuing education by most home inspector associations and is approved for 8 hours of SD continuing education credits. PHII's Mold Safety, Assessment, Reporting & Standards Course provides an overview of what mold is, how exposure can affect your health, where mold grows in homes and how a certified mold inspector investigates and reports on it. The course also explains the National Association of Mold Remediator and Inspectors (NAMRI) Standards of Practice. The course is a good introduction for home inspectors and others in the real estate field who may want to expand into indoor air quality (IAQ) inspections or later pursue mold certification training. The course focuses on the major topics that are most important to residential home inspectors. The purpose of our field labs is to provide continuing education for South Dakota home inspectors, and to give inspectors hands-on experience with the systems and components they will be inspecting. Our training labs include viewing our electrical & plumbing displays that have built-in defects, a live, hands-on property inspection and time working on home inspection reports. Click the Learn More button to see a complete agenda for the day. 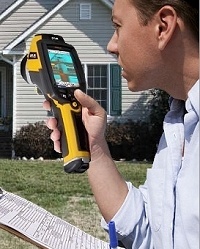 Along with Radon Testing, Mold Inspection & Remediation is becoming a very high-demand area for inspectors. Our Mold Course Package includes Residential Mold Inspection, Mold Remediation, Mold Remediation Protocols, & Commercial Mold Inspection. In addition, you will also receive a Free $149 Membership in NAMRI, a Free $149 InspectHost Website, and Mold Inspection Report Creator ($399 Value) with 12-months Free Cloud Services! 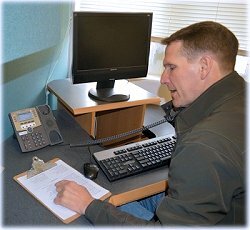 We are available 12 hours a day to help you with any questions you might have about the continuing education requirements or about the course material itself. We can be reached toll-free at 800 983 6322 or use the contact form on our website. The courses also have a student-instructor forum where you can communicate with the instructors. Click Here to find out more about Professional Home Inspection Institute.